Looking for an event near you that will offer information, support and guidance on the latest technical advances and the key issues in house-building? 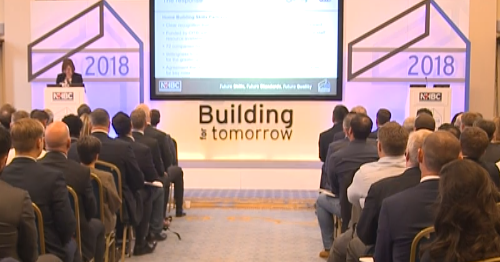 Running for 28 years, Building for tomorrow is our annual series of seminars where industry experts and NHBC present the latest technical and regulatory updates in house-building as well as sharing best practice gleaned from the 900,000+ site inspections we carry out each year. Many delegates return to Building for tomorrow year after year but if you’ve not been before you may be interested to hear what previous attendees thought about the event. Well planned out seminar, sufficient breaks and like the format / length of each section as is long enough to provide sufficient information but short enough to keep the attention of everyone. Well run day with a good variety of speakers and topics. All interesting and very important subjects which relate to the future and the quality in the whole industry. Overall, great event – thoroughly enjoyed the day. An excellent day, we all need to focus on doing the best we can to promote our industry. All interesting and very important subjects witch relates to the future and the quality in the whole industry. Really interesting presentations. Great presenters who kept their presentations quick and engaging. Was great to see that so many people are trying hard to improve on what we do. A very informative and interesting seminar. 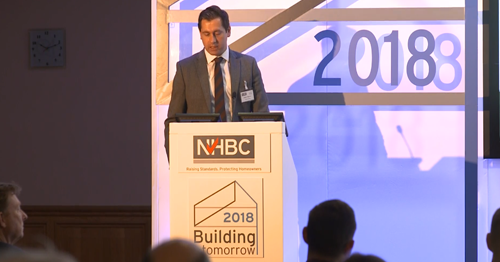 This year, our theme of preparing for quality homes will cover the changing political, economic and market landscape and what that means for house building in the future. It will include factors such as the Brexit deadline in March 2019, the skills shortage, supply chain and market challenges, as well as, of course, changes to the regulatory landscape. We’ll guide you through the potential impact of these challenges and what needs to be done to prepare to build quality homes in this changing environment. A strong feature of the future will be the increasing use of components, framed constructions and off site manufacturing which we will also explore as part of this year’s programme. Building upon feedback from last year’s Building for tomorrow events and the ongoing collaborative work we do with manufacturers, we will look at how feedback on quality can help improve standards for the future as well as meet changing regulatory requirements. There are 10 Building for tomorrow events running from the end of February to the end of April 2019 at locations across the UK. We tailor the agenda of the events depending on which region they're in: England & Wales, Scotland, Northern Ireland and London. 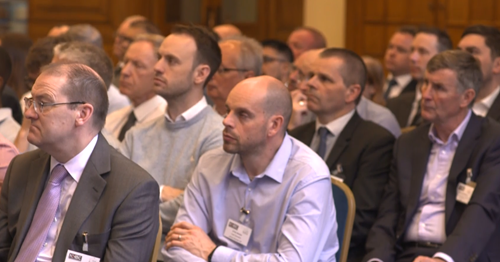 Do you want to get your product in front of leading organisations within the house-building industry including builders, developers and housing associations? If so, please contact us to discuss how exhibiting at Building for tomorrow could work for you.